“Savvy, deep-pocketed foreign conglomerates could challenge a broad range of laws we pass at every level of government,” said United States Senator Charles “Chuck” Schumer (D-NY) on the Trans-Pacific Partnership (TPP) (Weisma). The TPP is a cornerstone of President Barack Obama’s economic agenda for his second term in office. However, the trade agreement faces tremendous criticism from many Democrats and progressive organizations. Collectively, these Democrats and progressives claim that this trade deal would be damaging to U.S. sovereignty, that it expands the ISDS (investor-state dispute settlement), and it adds new substantive rights to foreign companies and investors. All of which would hurt the U.S. economy, damage the environment, roll-back human rights, and destroy privacy. The Trans-Pacific Partnership (TPP) would grant broad powers to multinational companies and investors operating in North America, South America, and Asia. Under the TPP, companies and investors would be able to challenge any regulations, rules, government actions and court rulings – federal, state or local – that they do not agree with before tribunals organized under the World Bank or the United Nations. The trade agreement would also expand that authority to companies and investors in countries as wealthy as Japan and Australia (Weisma). Importantly, the Trans-Pacific Partnership (TPP) is moving through Congress by obtaining fast-track authority, which means that when the TPP bill lands on the floor of both houses of Congress, it will only get a yes or no vote. No debate and no amendments. Recently, on the 23 of April, the House Ways and Means Committee passed the trade promotion authority (TPA) for the TPP on a vote of 25 – 13 sending the TPA to the full House (Needham). Additionally, the negotiations of the trade agreement have all been in secret. The only information that the public has on the agreement has come from leaked documents and from what Senators and Representatives have told the public. These Senators and Representatives can only view the official document in a secure room and they are prohibited from taking any notes. Furthermore, the trade agreement (TPP) would grant foreign companies and investors rights that are not applicable to U.S. companies and investors. It would grant access to extrajudicial tribunals. These tribunals would be staffed by private sector lawyers. these lawyers can rotate between acting as “judges” and representing the company or investor in cases against governments who have conflict of interest (Wallach and Beachy, pgs. 3-4). Conveniently, the company or investor initiating a case can choose the venue and select one of the “judges” from a roster. The defense (usually a national government) choose another judge. Jointly, the two Parties select the third judge (Wallach and Beachy, pgs. 3-4). Thus, these tribunals lack judicial ethics. They have no public accountability and there is no requirement for tribunalists to be impartial, also they have no right to appeal. In addition, these tribunals can order governments to pay unlimited monetary compensation. “Every asset that an investor owns or controls, directly or indirectly, that has the characteristics of an investment, including such characteristics as the commitment of capital or other resources, the expectation of gain or profit, or the assumption of risk” (Wallach and Beachy, pg. 4). Regulatory permits; instruments such as stocks and derivatives; “construction, management, production, concession, revenue-sharing, and other similar contracts;” and “licenses, authorizations, permits, and similar rights conferred pursuant to domestic law” (Wallach and Beachy, pg. 4). Thus, under the trade agreement, a member nation could be forbidden from favoring “good produced in its territory.” For example, Iowa soybean farmer cannot favor their product without facing financial punishment. “This is not about expropriation; it’s about regulatory changes.” said Lori Wallach, director of Global Trade Watch. “You Now have specialized law firms being set up. You go to them, tell them what country you’re in, what regulation you want to go after, and they say, ‘We’ll do it on contingency'” (Weisma). “This deal [TPP] would give protections to international corporations that are not available to United States environmental and labor groups,” U.S. Senator Elizabeth Warren (D-MA) said in an interview. “Multinational corporations to sue national governments in international forums and win cash judgement that cannot be appealed” (White). Meaning, that TransCanada could use the TPP to sue the U.S. for not building the Keystone XL pipeline. “written agreements” . . . “between a national authority of a Party and covered investment or an investor of another Party . . . that grants rights to the covered investment or investor: a) with respect to natural resources that a national authority controls, such as for their exploration, extraction, refining, transportation, distribution, or sale; b) to supply services to the public on behalf of the Party, such as power generation or distribution, water treatment or distribution, or telecommunications, or; c)to undertake infrastructure projects, such as the construction of roads, bridges, canals, dams, or pipelines, that are not for the exclusive or predominate use and benefit of the government” (Wallach and Beachy, pg. 5). “This continues the great American tradition of corporations writing trade agreements, sharing them with almost nobody, so often at the expense of consumer, public health, and workers” (Weisma). An example she gave to describe the new powers of ISDS would give to these companies and investors included imaging that the U.S. bans a toxic chemical that is added to gasoline because it is harmful. However, if one of these companies or investors make the toxic chemical and oppose the law, it would normally challenge that law in a U.S. court. However, with ISDS, that company or investor could then skip the U.S. court and go before one of these tribunals. If the company or investor wins, the ruling could not be challenged in U.S. court, and the tribunal could then require U.S. taxpayers to pay millions of dollars in damages (Warren). Unfortunately, there is a growing number of ISDS cases. From 1959 to 2002, there were fewer than 100 ISDS claims in the world. But in 2012, that went up to 58 cases. Some recent cases include a French company that sued Egypt because Egypt raised its minimum wage. A Swedish company sued Germany because Germany decided to phase out nuclear power after Japan’s Fukushima disaster, and a Dutch company that sued the Czech Republic because they did not bail out a bank that the company partially owned. Even, Philip Morris has attempted to use ISDS to stop Uruguay from implementing their new tobacco regulations (Warren). “Conservatives who believe in U.S. sovereignty should be outraged that ISDS would shift power from American courts, whose authority is derived from our Constitution, to unaccountable international tribunals. And progressives should oppose ISDS because it would allow big multinationals to weaken labor and environmental rules,” added Senator Warren (D-MA) (Warren). President Obama’s Trans-Pacific Partnership trade agreement goes further, it would provide substantive rights that would only be available to foreign companies and investors. For instance, the right to claim damages for government actions (such as new environmental, health or financial policies) that reduce the value of a foreign investor’s investment or that go against the level of regulatory scrutiny that an investor might have had when dealing with a previous government (Wallach and Beachy, pgs. 8-9). These new rights could mean more cases like the one in 2013, where Eli Lilly, a pharmaceutical company used a similar provision under NAFTA (North American Free Trade Agreement) to sue Canada for $500 million. Eli Lilly accused Ottawa, Canada of violating its obligations to foreign investors by allowing Canada’s courts to invalidate patents for two of its drugs (Weisma). Yes, there are some Democrats who support President Obama’s trade deal, and they formed a group called the “Progressive Coalition for American Jobs (PCAJ).” This group claims to be a group of, “progressives and Democrats committed to leveling the playing field for American workers.” The team who formed the PCAJ includes many senior members of President Obama’s former campaign team. 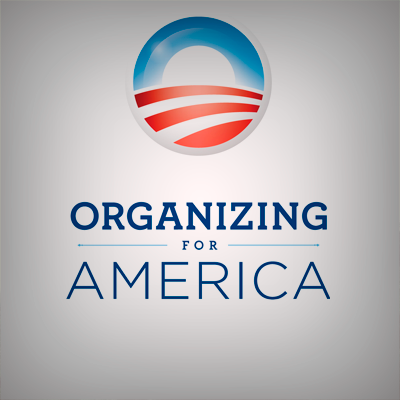 Including Mitch Stewart, the former aid that ran Organizing for America (OFA) and Lynda Tran, the former OFA press secretary. “When we looked around for other progressive voices making the case for free and fair trade, we found that there wasn’t really a vehicle for engaging the public around the benefits of this deal,” Tran wrote in an email. “So we decided to get involved and help launch the Progressive Coalition for American Jobs to bring together progressives across the activist, advocacy, and business communities” (McMorris-Santoro and Nocera). “The president has made it clear that expanding jobs and opportunities through progressive trade deals is a priority. It’s not surprising that groups that share this commitment have decided to add their voice to the discussion, and we welcome their input” (McMorris-Santoro and Nocera). “ISDS does not undermine U.S. sovereignty, change U.S. law, nor grant any new substantive rights multinational companies” (White). On the contrary, the Progressive Coalition for American Jobs (PCAJ) faces strong criticism from progressives and Democrats who believe that this group is not at all a ‘progressive’ group. “Who are they? Are they getting paid? And this group will convince anybody of what?” asked U.S. Senator Sherrod Brown (D-OH). He went on to say, “There is zero progressive interest in this [TPP]” (McMorris-Santoro and Nocera). Not to forget, the House Minority Leader, Nancy Pelosi, has privately cautioned her members in the House of Representatives to keep their powder dry in order to negotiate the most liberal deal possible (McMorris-Santoro and Nocera). “As far as I know, the only thing ‘progressive’ about this so called ‘Progressive Coalition for American Jobs’ is the first word of the groups’ name” (McMorris-Santoro and Nacera). “Every progressive group and sector that works on economic issues – labor, consumer groups, enviros, the online groups, civil rights groups, you name it – is vehemently against TPP, so I don’t know what progressives are in this group’s coalition” (McMorris-Santoro and Nocera). “ISDS threatens domestic sovereignty by empowering foreign corporations to bypass domestic court system and privately enforce terms of a trade agreement. It weakens the rule of law by removing the procedural protections of the justice system and using an unaccountable, unreviewable system of adjudication” (Wallach and Beach, pgs. 7 and 11). “the foreign investor protections included in some recent Free Trade Agreements (FTAs) and Bilateral Investment Treaties (BITs) and their enforcement through Investor-State arbitration should not be replicated in the TPP” (Wallach and Beachy, pgs. 7 and 11). “that could limit the ability of the government to use capital controls” (Wallach and Beachy, pgs. 7 and 11). The Trans-Pacific Partnership (TPP) is a race to the bottom for the United States of america. It is especially harmful to the workers and consumers. If the TPP receives final approval from Congress and President Obama signs the agreement – ensuring that it is a cornerstone of his economic agenda – then he will have turned his back on progressives across the country. Passage of the TPP would mean that companies could use the ISDS and their new investor rights to raise costs of medications in the U.S. and depress the economy while those same companies can get large monetary payouts from the U.S. government. Therefore, the TPP is a bad deal and it will hurt the economy, environment, human rights, and health care. This deal must be stopped. Join the effort here: Stop Fast Track! Heedham, Vicki. “Panel approves Obama trade powers.” http://www.thehill.com. TheHill, 23 April. 2015. Web. 24 April. 2015. McMorris-Santoro, Evan and Nocera, Kate. “Progressives: We’ve Never Heard of This “Progressive” Group Backing Obama’s Trade Deal.” http://www.buzzfeed.com BuzzFeed News, 12 March. 2015. Web. 24 April. 2015. Wallach, Lori and Beachy, Ben. “Analysis of Leaked Trans-Pacific Partnership Investment Text.” Public Citizen (2015): 3-5 Print. Wallach, Lori and Beachy, Ben. “Analysis of Leaked Trans-Pacific Partnership Investment Text.” Public Citizen (2015): 4 Print. Wallach, Lori and Beachy, Ben. “Analysis of Leaked Trans-Pacific Partnership Investment Text.” Public Citizen (2015): 5 Print. Wallach, Lori and Beachy, Ben. “Analysis of Leaked Trans-Pacific Partnership Investment Text.” Public Citizen (2015): 8-9 Print. Wallach, Lori and Beachy, Ben. “Analysis of Leaked Trans-Pacific Partnership Investment Text.” Public Citizen (2015): 7 and 11 Print. Warren, Elizabeth. 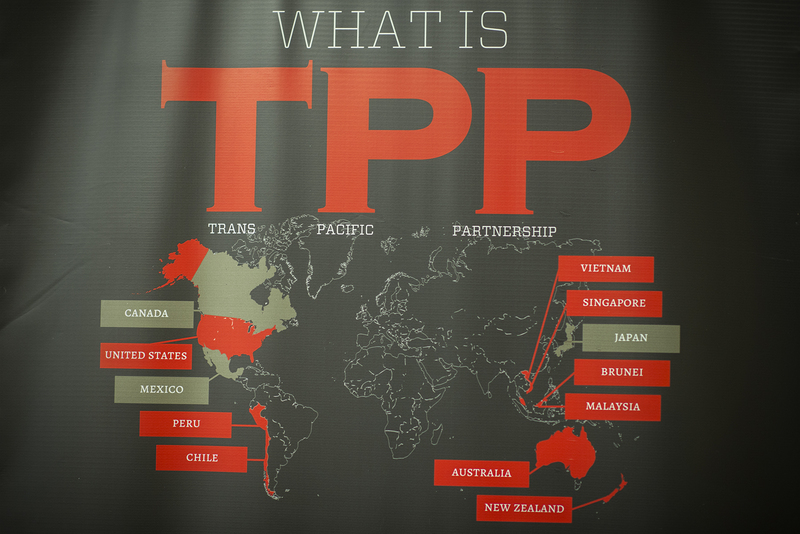 “the Trans-Pacific Partnership clause everyone should oppose.” http://www.washingtonpost.com. The Washington Post, 25 Feb. 2015. Web. 26 April. 2015. Weisma, Jonathan. “Trans-Pacific Partnership Seen as Door for Foreign Suits Against U.S.” http://www.nyti.com. The New York Times, 25 March. 2015. Web. 26 April. 2015. White, Ben. “Elizabeth Warren’s next target: Trade deals.” http://www.politico.com. POLITICO, 27 Feb. 2015. Web. 24 April. 2015.